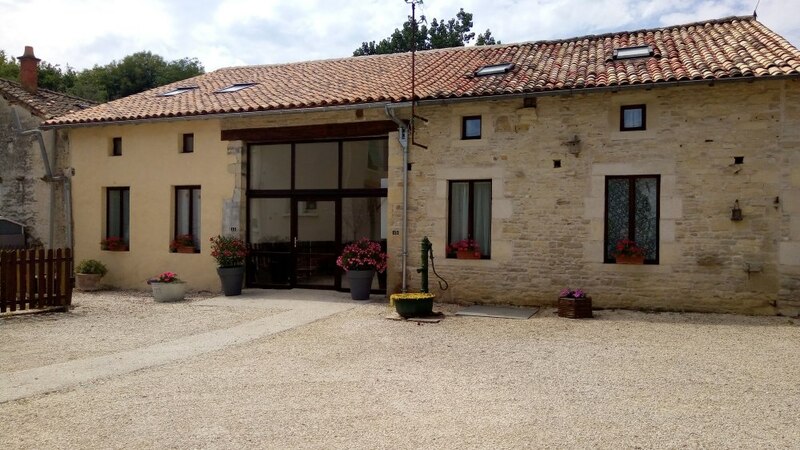 Located in the south of the Deux Sevres our recently converted 19th century barn offers two spacious three bedroomed gîtes. Designed by an architect to provide flexible accomodation suitable for families, friends and wheelchair users. Located in a quiet hamlet less than a five minute drive to the village of Lezay which has a large weekly market, a choice of restaurants, supermarket, large outdoor swimming pool, park with play area, tennis courts and fishing lake. We are located in the south of the Deux Sevres between the towns of Poitiers and Niort in the coutryside but close enough for a day trip to La Rochelle and the Ile de Ré, Cognac, Futuroscope or Saintes to name but a few.